Day 1: Clear and organize side tables, coffee table and entertainment center. Throw out ( or file) old magazines, find a place for those important pieces of mail other than the coffee table. Day 2: Dust and clean lights, paintings and other fixtures. Get those mirrors clean and get that dust off of the top of those lamps. 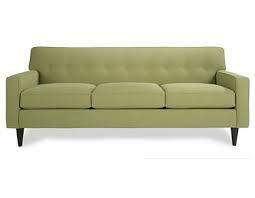 Day 3: Vacuum or surface clean the couch and other forms of seating in the room. If you sprinkle a little baking soda on the couch and arm chairs and let it sit for about 20 minutes, it will take out that “winter smell” from them. Vacuum it up and you’re done! Day 4: Vaccum (or sweep) the floor. Make sure you get into those corners where the dust bunnies sleep! If you have the time, sprinkle some of that baking soda on the carpet and let it sit, just like you did with the couch. If you have a hardwood floor, a bit of wax on the floor will make a huge difference. If you have a swiffer or swiffer wet jet, thats even better…..and easier! Day 5: If you have a TV in your living room , dedicate this day to getting the proper items for it (and the DVD and cable box) in order. Look at all those wires behind it? Can you bunch them together and make it neater? A twist tie and do wonders for that. Also, decide what the best place will be for movies that you own and the remotes that go with the electronics. Also, dust and clean them off. Use a window cleaner (or a bit of vinegar with water) to clean any screens. They accumilate a ridiculous amount of dust and dirt. Day 6: Have a book case? Look through those books(or movies) and see what you may be able to donate to the local library. Remember, this is not only the time to clean, but the time to purge. Day 7: Add a plant to the room. This may seem simple, but it really makes a difference. If you have a pet, you may want to find one that isn’t poisonous to them and can be hung in a corner out of the way.